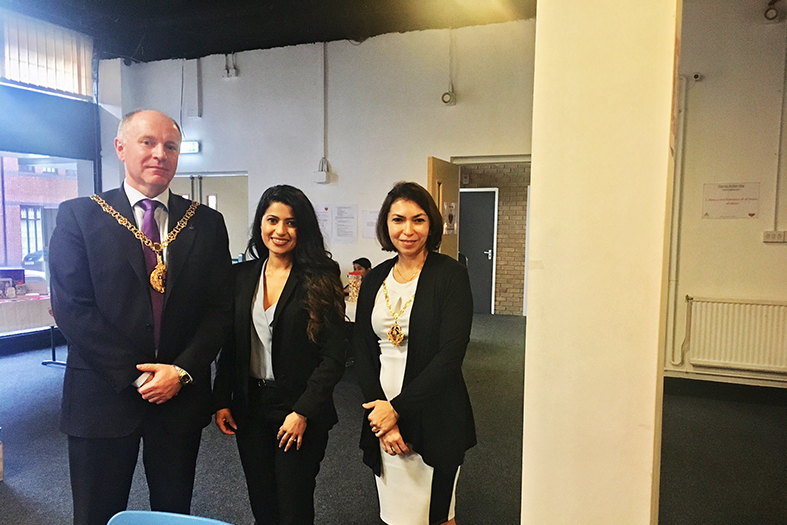 Work Choice Advisor, Nikki Kaur recently went to a Dignity Awareness event where she met the Mayor of Walsall. The event was part of the Dignity in Care Campaign whose aims are to change the culture of care services and placing a greater emphasis on improving the quality of care and the experience of citizens. Nikki said, "It was a fantastic event and I learned a lot. I had a brief chat with the Mayor who made a very powerful speech about mental health and disability awareness. He is very passionate about the community getting together and beating discrimination on the grounds of mental health and disabilities. I will be feeding back about the day to the Employment team so we can think about ways of improving services to our customers."